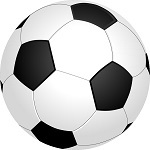 Sports betting promotions – get all the current offers for betting online, whether you like to have a bet on the football (soccer), horse racing, cricket, basketball, AFL or any other sport. When it comes to sporting events like the Premier League, Champions League, Euro 2020, Quatar 2022 (FIFA World Cup), the Ashes or the Cheltenham Festival we are pleased to reveal the best betting offers. The site will be up to date with all of the latest promotional offers for new and existing customers – whether you’re looking to open a new account with a bookie or find the best ongoing offers. The Best Betting Promotions and Offers from the leading UK bookmakers. Claim Now * New online customers only. Min. unit stake of £10/€10 at odds of 1/2 or greater. Only the “win” part from EW bets will count. Free bet terms, payment method & country restrictions apply. Free bets credited as 3 x £10/€10. Free bet stakes are not returned as part of the settlement of successful free bets. All Free Bets must be wagered within 30 days. 18+. Full T&Cs apply see William Hill for more details. Claim Now * New customer offer. Place 5 x £10 or more bets to receive £20 in free bets. Repeat up to 5 times to receive maximum £100 bonus. Min odds 1/2 (1.5). Exchange bets excluded. T&Cs apply. The events listed below are happening now or will be kicking off in a few days or weeks time. Click through and you will be taken to our event specific page where you can get the latest deals. A detailed look at some of the best online betting sites and their introductory promotional offers. bet365: #1 Betting Site – Superb New and Existing Customer Offers! bet365 claim to be the worlds favourite sports betting site – they might be right – we have found them to be an honest and loyal bookmaker that have a plethora of promotions available all year round for customers. They don’t swap and change the offers they have available, so you know whats going on. They have a wide range of promos for the football, horse racing, greyhounds, tennis, US and Canadian sports, Aussie Rules and basketball. In our book they are the best bookie for retaining customers – as people tend to vote with their feet – bet365 must be doing something to keep the punters coming back for more. It’s not just their ongoing promotions, they have some of the best betting features such as live betting, cash out (full and partial) and more! They also have a humongous range of markets for a huge range of sports. 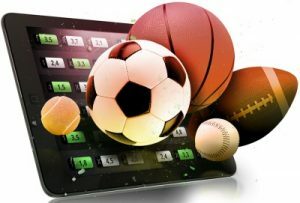 Along with a superb online site and betting apps for Android, iPhone and Mobile that work – they are our favourite betting site – they will probably become yours as well. If you open an account today you can claim their new account offer. See above for more details. Betfair are one of the very best bookmakers around, they have the biggest range of new customer promotions and existing customer offers that keep you on your toes. Betfair, not only have a great sportsbook they have the best betting exchange around. When it comes to betting features, Betfair is up their with the best. They have the best cash out feature, the best acca insurance, superb in-play betting and live streaming. Betfair have enhanced odds deals available nearly every week for new customer wanting to get better odds on the football or another major event. The latest enhanced odds offers are revealed above. We have Betfair’s incredible app (available for Android, iPhone and mobile) installed on our phone – you should install it today. Not only can you start betting with one of the best bookies around you can claim the new customer sign up offer, get the best value on your bets with super existing customer promotions and use leading features. As most people are aware by know the great thing about betting online is the shear number of betting offers and promotions available. There are a range of promotions such as free bets, bonuses and bet credits which are offered to new customers. Existing customers can also make use of a huge range of betting promotions which are available exclusively online. The range of promotional betting offers available to both new and existing customers are growing every day. Some bookies swap and change the promotional offers each week it seems and other bookies run the same promos 365 days a year. It’s easy to keep track of what offers are currently available by booking marking our site. Our site likes to reveal both new customer promos and retention offers. We start by revealing the best new account offers, but if you scroll down the page you will come across the huge selection of promotional offers available to all customers. If you are looking for a promotional offer for a specific sporting event so you can get the best value out of your bets today or later this week we also reveal the best betting promotions for the major sporting events happening this month. The majority of bookmakers have a promotion running to entice new customers. These new customer promo’s range from bookie to bookie. But essentially they give you credit in your bookmaker account that you can use to have a free bet – please remember that generally you don’t get anything for free in this world. New customer offers have terms and conditions attached to them make sure you read and understand them before you accept an offer. As a new customer you can take full advantage of all free betting offers which we list every day – they including matched bonuses, enhanced odds, free bets no deposit offers and others. We scour the Internet and list all of the latest free bet exclusives including Cheltenham betting offers and Grand National free bets so that you don’t have to search for them. Free Bets – There are a range of free bets available for players. Matched free bets are one of the most popular free bets available for new customers. When you open an account, you’ll be asked to make a deposit to bet (there’s, typically, a minimum) and the free bet matches the initial deposit. A free bet will then be credited to your account whether your first bet wins or loses. Free Bet stakes are usually not returned although this is not always the case. Risk Free Bets – Place a single sportsbook bet and if it loses the bookie will refund it in. Sometimes the refund is in cash and sometimes it will be credited as a bet credit.Your first bet is risk free up to a set value. If your bet loses, you’ll get a second chance. Risk free bets rarely have minimum odds and free bet stakes are generally not returned. Deposit Bonuses – Many think that these are the best type of sign up offer. The bookie matches your initial deposit with promo cash. You can then place several bets with the promo cash, instead of one bet of a set amount. The bonus cash can be withdrawn once the cash has been rolled over a certain number of times. Your initial bet normally has to meet set criteria – it will have minimum odds and the bonus cash may expire after a set number of days. Enhanced Odds – The new breed of introductory offer for new customers. These offers tend to be highly specific. The offer is only available for a specific amount of time. These offers tend to be more valuable than the others. An example you may get enhanced odds of 50/1 for England to win the match. These are obviously crazy odds, and designed to make you sign up. Should your bet win, you will win a serious amount. These bets will have a maximum stake and the winnings tend to be paid in promo cash. How Do I Claim a New Customer Offer? Claiming a new customer offer is quite straight forward, take a look at our list of offers above. Find one that you like the look of (it needs to be being offered by a bookie that you don’t already have an account with), read the t&cs. If you’re happy with them click on the ‘claim now’ button and you will be taken to the bookies website where you can read the full terms and conditions of the offer. If you are happy with these t&c’s follow the bookies instructions on how to claim their new customer offer. I don’t understand the Bookies T&C’s what should I do? If you don’t understand the bookies T&C’s give the bookies customer help line a ring using the phone number on the contact page. They will be only too glad to explain them to you. I want to join a new bookmaker – do I have to claim the New Customer Offer? You can join a bookie without accepting the offer. On the sign up page, there will be an opt in button, just make sure that you un-tick this. If there is no opt in button, contact the bookies customer help team. Bookies like to keep you betting with them, so have a plethora of promotions available to all customers. Some of these have been around forever, and are available 365 days a year. Others are released for a specific event like the World Cup, Champions League Final, Cheltenham Festival or the Masters. If you open an account at numerous bookies you can place your bet at the bookie with the offer that most suits the bet you are going to place. There are several different offers available for customers to take advantage of. Loyalty schemes, free bet clubs, money back specials, enhanced prices, acca insurance & bonuses. These offers are listed on our event/sport specific pages, but we give you a brief overview of the offer types below. Loyalty Schemes – If you’re making regular bets, there is value to do so with the same bookmaker as some of them reward you with a free bet for doing so. An example of this kind of scheme is – place 5 bets of 10 or more on Sports or Virtuals and you will be credited with a free 10 bet the Monday after your 5th qualifying bet. Money Back Specials – These offers are really common. You get your stake back as a free bet (sometimes as cash) if your bet loses. There will be certain criteria, such as minimum odds or minimum stake; if you bet meets the criteria your bet will be refunded so you can have another bet. An example of a money back special is the Bore Draw Special – your money is refunded if the football match ends 0-0. Another example is ACCA refunds, when you acca fails by one a number of bookies refund your stake. Bonuses – It is possible to be given a bonus if your bet wins. An example is the ACCA bonus, where you are given a bonus up to 100% if your acca wins. A nice boost to your winnings when every leg is a winner. Free Bets – As well as the new customer free bet a couple of bookies offer you a free bet for a certain event if you place a small bet eg. Bet £20 on Premier League and get a £10 free bet for the Champions League Final or place a £10 bet pre-match on Man Utd vs Man City and get a £10 free bet to use in play on the same match. Another popular free bet deal is get a £25 free bet with every winner at 3/1 or more. Risk Free Bets – If a bookie has a new feature such as live streaming or cash out they might offer a risk free bet to entice you to try out the new feature. eg Get a Risk Free £5 Bet in the exchange or get a £10 risk free bet when you cash out for the first time. New offers pop up all the time or new and existing customers. The bookies are getting more and more inventive. So keep an eye out for these new deals and you could get even better value out of your sports bets. Be Gamble Aware aims to promote responsibility in gambling. They provide information to help you make informed decisions about your gambling. Call the National Gambling Helpline: freephone 0808 8020 133 8am to midnight, 7 days a week.